Social Media is a new way to communicate between people and interact through online. Social Media become core to marketing and beyond. Over the past several years, there has been an explosion of growth in popular social media platforms. Whether you are a Owner or Sales Head of small or medium or large business, you need to make a note that your customers are online. They are interacting with their friends and relatives using various social channels and this expansion goes world-wide. A social Media strategy can help the business houses to identify and sign up with enthusiasts to expand initiatives inside and outside the organization. Branding is very important to companies in order to develop their businesses to other areas. It is the proud identity of the company representing and reflecting all the aspects of the business as a package. Social Media is the platform on which you can showcase yourself. Each popular social media has a special purpose. To connect with the business people and with the same industry, there is LinkedIn. To share information between family and friends, you have facebook. To display your passion you have Pinterest and for the visual treat you have Instagram. Above all, for everything you have Twitter. We at Clorida Infotech, being the Top Social Media Marketing Service company, we help our clients to build their Best Social Media presence through our Innovative Designs and appropriate contents which will attract the users towards our client organization. Decide on how you want to be known by others. Since this is the most competitive world, millions of people compete in the general sections or categories. So, pick up a special category or niche and show case it as your expertise. 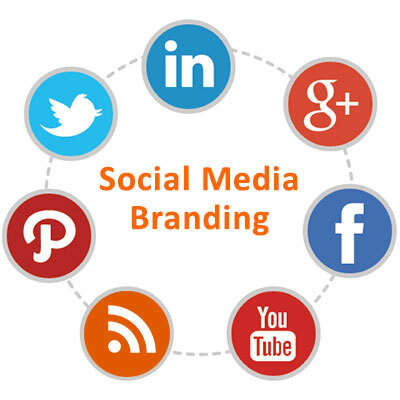 We can support you for the Best Social Media Marketing services. Your name, personal details and images must be kept similar in the profiles of all social media. Then only it will become a confirmed fact and become a brand about you. Having different images and names will lead to different identities and weaken the concept of a single brand. Keep in mind that you and your details are the brand and nothing else. There is no point in changing the brand now and then. Apart from posting, you must join in the connected groups and community of your business and participate in the activities. So that you can increase your opportunities of meeting with other likeminded people and grow. keep responding immediately to all those who contact you or connect with you. Weaving a strong network around you with powerful social media contributions and branding your self is the new fashion of approach in business improvement.